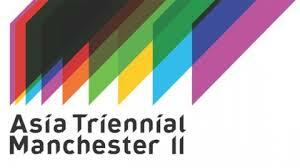 Asia Triennial Manchester 2014 (ATM14), returns to Manchester with a vibrant and stimulating showcase of the foremost contemporary visual art from across the globe. Aman Mojadidi is an American artist of Afghan descent known for his public, site specific art projects. Mojadidi moved to Afghanistan in 2003 where he has been active in Kabul’s art scene and has been credited for playing a crucial role in its resurgence. With his art, Mojadidi subverts hegemonic interpretations of history through the merging of documentation and imagination, while aiming to make work that “disturbs identity and challenges authority”. Alinah Azadeh is a British artist of Iranian heritage, whose large-scale installations encompass ritual, textile, sculpture, the digital and writing, often involving the public in their materialisation. She will create a new sculptural installation rooted in the idea of revolution, influenced by her own experiences and those of local communities who have themselves, or their parents/grandparents, been displaced by conflict. In tandem with this she will bring her Book of Debts to IWMN, the core of her live national touring project, Burning The Books, with a focus on debt, conflict and resolution. Hamra Abbas (Kuwait) lives and works in Boston and Lahore. Drawing upon culturally loaded imagery and iconography, in an often-playful manner, Abbas appropriates and transforms traditional motifs and styles to examine questions of conflict within society. Abbas will make two new works, Lessons of Love (extended) and Monument, which will be a series of prints. Nalini Malani’s In Search of Vanished Blood for Documenta 2012 was inspired by the literary including an Urdu poem translated by Faiz Ahmed Faiz as well as writings by Christa Wolf and Rainer Maria Rilke; each concerned with the status of women in Indian society. Malani will show a single video presentation at one of the IWM North silos together with two-dimensional work, transforming the space into an emotive experience for the viewer. Sophie Ernst is a Dutch video artist based in the UK. In her work, Ernst follows the idea of projection in relation to space, architecture, culture, history, and identity. She is concerned with political turmoil and displacement, with individual memories of home and ideal places. She is currently exploring the archives at IWM North archives to produce a new sculptural piece for ATM14 that asks, what is a conflict? Bashir Makhoul’s project raises questions about the kinds of spectral spaces that emerge in sites of conflict. He examines the interactions and confusions between the virtual and the real, such as the mock cities built for training in urban warfare, the parallel world of surveillance, or CAD inspired urban developments. Makhoul’s new edition of his series Enter Ghost Exist Ghost installation will occupy the Museum’s spectacular Air Shard. Informed by his varied cultural heritage, Shezad Dawood works across film, painting and sculpture to juxtapose systems of image, language, site and historical narrative. Appropriating some imagery relating to ancient magical systems and feminine cults of the ancient world and particularly Babylonia and Iraq, Dawood is presenting a new installation combining vintage killims and video projection responding to one of the big tanks in the museum’s main space. CFCCA is to stage the largest exhibition of Chinese contemporary art in the UK to date. It will feature over 30 major artists from Taiwan, China, Hong Kong and, exhibiting across six key spaces in Manchester including ArtWork, The John Rylands Library, Manchester Cathedral, Museum of Science & Industry and National Football Museum. Responding to the ATM14 theme, CFCCA’s curatorial team led by Jiang Jiehong, Professor of Chinese Art at Birmingham City University and a former curator of Guangzhou Biennale, has focused on China’s current socio-economic vision, which seemingly presents ‘no conflict’ but rather, almost poetically, a ‘Harmonious Society’. Artists including Taiwan’s Chen Chieh-Jen and China’s Xu Zhen have developed new work in response to this era of unprecedented social, ideological and cultural transformation or are presenting work never before shown in the UK. Castlefield Gallery has commissioned new work from emerging artist Hardeep Pandhal. Pandhal’s dry wit interrogates perceptions of British Asian identity with references to graffiti, psychoanalysis, modern British history, and popular culture. He draws on the conflicting experiences of his own and others to create fictionalised characters and narratives, realised in spoof documentaries, illustrated CVs and handmade garments (made with the help of his mum). MCDC will present a solo exhibition by textile artist Kashif Nadim Chaudry. His work is focused around the idea of constructing an identity and is directly related to his experiencesas a gay British born Pakistani Muslim. Borrowing freely from historical periods such as Mughal India and Tudor Britain, Chaudry draws inspiration from different disciplines such as architecture, interior design and classical Bollywood cinema. Touchstones Rochdale will show a beautiful new commission by London-based artist Rosa Nguyen incorporating ceramics, glass and natural plant material to create a contemplative space. Nguyen expresses the fusion of her Vietnamese and French background throughout the visual and tactile language of form, colour and surface inherent to the objects she makes and the environments she creates with them. Cornerhouse presents the official film programme for ATM14 that includes a thematic selection focusing on China and Hong Kong with several UK and European premieres and filmmaker Q&As. ReMix is an exhibition for Bury Sculpture Centre of six artists who have been part of a unique curatorial exchange between Platform China, an artist run space in Beijing, China, and the British curator David Thorp. UK based artists, David Blandy, A K Dolven and Richard Wilson will each revisit that relationship, reprising works that were shown at Platform China but remixing them for a new time, place and context specifically for ATM14. From China Jin Shan, Pei Li and Qiu Xiaofei, two of whom have recently shown in the UK and one will be exhibiting for the first time.